In December, Gov. Cuomo’s actions culminated in an announcement that he plans to divest the New York State Common Retirement Fund from fossil fuel investments – a move a new report finds could cost the state’s pensioners more than $1 trillion. The Independent Petroleum Association of America-commissioned report, authored by University of Chicago Law School Prof. Daniel Fischel and Compass Lexecon economists Christopher Fiore and Todd Kendall, analyzed the risk of fossil fuel divestment by New York and Colorado’s retirement funds, finding such an action could result in combined shortfalls totaling more than $2 trillion over the next half-century. These burdens would be shouldered directly by retirees and taxpayers — further illustrating the real-world consequences of a “Keep It In the Ground” agenda that leaders in each state have either supported or been pressured to implement in recent years. The report finds fossil fuel divestment by the New York State Common Retirement Fund — the nation’s third largest pension fund — could cost up to $198 million annually, assuming a broad divestment plan that includes utilities, and total more than a $1 trillion in losses over 50 years. Those losses are the equivalent of eliminating the average annual benefits of 8,500 retirees. That is just one of the many reasons why the New York business community — and even members Cuomo’s own party — have rejected his divestment strategy. If Gov. Cuomo were to follow through on his stated plans to divest from fossil fuels, it would be just the latest example of his politically driven “Keep It In the Ground” pandering yielding adverse economic impacts on New York, particularly the economically depressed rural regions of the state. As EID has previously highlighted, Cuomo’s decision to ban fracking has denied residents of upstate New York the right to develop minerals on their own private property. The result? As shale development and agriculture have thrived in Pennsylvania, New York lost 1,300 dairy farms from 2007 to 2017. 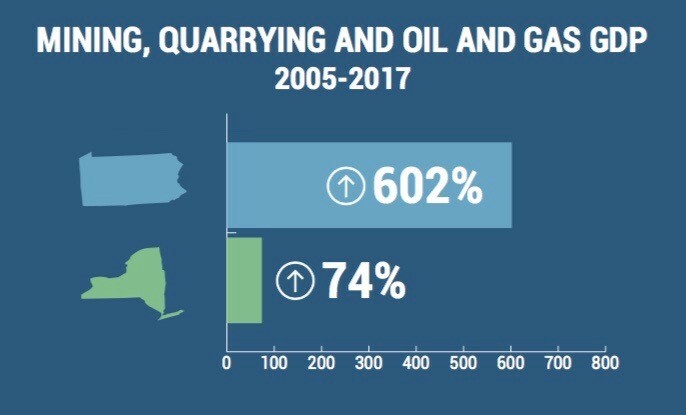 Since 2005, Pennsylvania’s mining, quarrying and oil and gas gross domestic product has outpaced New York’s by a factor of eight. 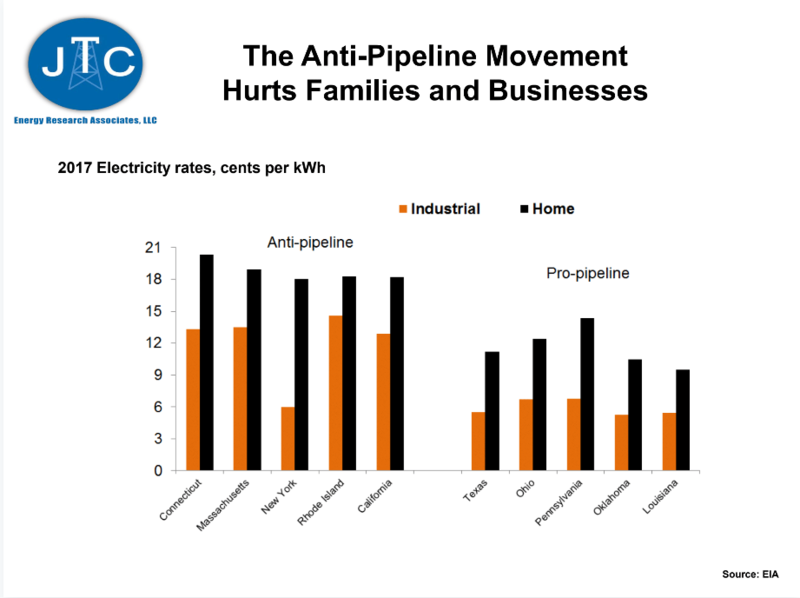 Even though the DEC has tried to justify its feet-dragging by claiming it is trying to protect the environment, the policy has actually resulted in the burning of higher-emitting fuels for electricity generation this past winter, while the various environmental calamities the Cuomo administration used to justify its fracking ban have been thoroughly debunked. From an economic standpoint, Gov. Cuomo’s “Keep It in the Ground” policies have already resulted in a double-whammy for many New Yorkers: higher energy costs and the government taking of private property rights. This report confirms that divestment would present a triple-whammy of sorts, jeopardizing secure retirements in the interest of playing politics. The report finds that the Colorado Public Employees’ Retirement Association’s (PERA) annual cost of divestment could range from $36 million for narrow divestment to $50 million for broad divestment, totaling $470-$646 billion over 50 years. This would only further hamper a fund that is already struggling to regain its long-term solvency. PERA’s unfunded liabilities were $32.2 billion last fiscal year.